SINGAPORE: Moody's Investors Service said that Pakistan's (B3 stable) credit profile is supported by the country's robust growth performance and potential, a large — but low-income — economy, and an improved track record of reforms that started under its 2013-16 International Monetary Fund (IMF) program. These strengths have been accompanied by greater transparency and lower levels of inflation and inflation volatility, the report added. Credit challenges include the country's high general government debt burden and low debt affordability, weak physical and social infrastructure weighing on economic competitiveness, an increasingly vulnerable external payments position, and high political risk. In particular, the government's very narrow revenue base restricts fiscal flexibility and weighs on debt affordability. The moderate but rising level of external government debt also exposes the country's finances to sharp currency depreciations. In addition, the high level of imports — largely because of CPEC — continues to exert pressure on the external account. The decline in Pakistan's foreign exchange reserves has reduced their import cover to less than 2.5 months. Moody's conclusions are contained in its annual credit analysis on Pakistan and which examines the sovereign in four categories: economic strength, which Moody's assesses as "moderate (+)"; institutional strength "very low (+)"; fiscal strength "very low (-)"; and susceptibility to event risk "high". The report constitutes an annual update to investors and is not a rating action. Moody's report says that the stable outlook on Pakistan's B3 sovereign rating reflects balanced risks to the country's credit profile. Moody's points out that there is potential for a further strengthening in Pakistan's growth beyond Moody's current expectations, because successful implementation of CPEC can transform the Pakistani economy by removing infrastructure bottlenecks and stimulating both foreign and domestic investment. 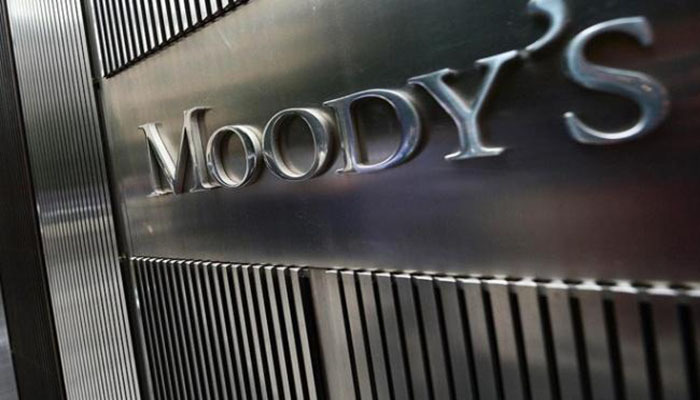 However, fiscal costs related to the project could raise Pakistan's debt burden more rapidly and significantly than Moody's expects, and persistently high levels of imports could develop into greater external vulnerability. Triggers for an upgrade of Pakistan's sovereign rating include a fundamental strengthening in the external liquidity position and a significant reduction in the government deficit and debt burden. Sustained progress in structural reforms that significantly reduced infrastructure impediments and supply-side bottlenecks — thereby improving Pakistan's investment environment and aiding an eventual shift to sustained higher growth — would also be credit positive. Triggers for a rating downgrade include a stalling of the government's post-IMF program economic reform agenda, material widening of the fiscal deficit, worsening of the external payments position, loss of multilateral/bilateral support, or renewed political instability.